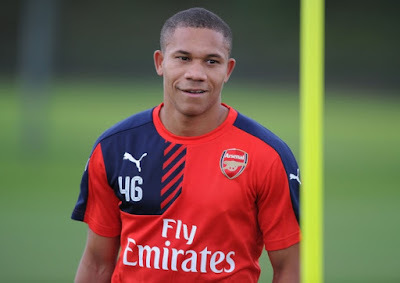 Arsenal youngster Wellington Silva joins Bolton Arsenal youngster Wellington Silva has completed his move to Championship side Bolton on a one year loan deal, according to Arsenal.com. Arsenal youngster Wellington Silva has completed his move to Championship side Bolton on a one year loan deal, according to Arsenal.com. The Brazilian youngster has joined sixth club on a loan deal. Previously, he has palyed for Alermia, Real Murcia, Levante, Alcoyano and SD Ponferradina. The under 21 joined the Gunners from Fluminense in the winter transfer window of 2010. He used to play alongside Neymar and Philippe Countinho for Brazil when they were all under 17. The 22-year-old could be making a good impression at the Championship club, according to the Gunners boss Arsene Wenger. Wenger admired him that he is a great player to watch and Bolton will be happy with his move. Silva is now keen to shine at Bolton so that he can get a chance in Arsenal’s first team next season. Meanwhile, Arsenal long term target Karim Benzema is still unsure about his future at Real Madrid. Telegraph believe that the Frenchman is planning for a move to the Gunners despite of Real Madrid boss Rafael Benitez comments last week that Benzema would be staying at Santiago Bernabeu as he can add more than 20 goals this season. The former Lyon striker who has netted 87 goals for the Los Blancos is considering a move before the window ends next week, as per Daily Star.